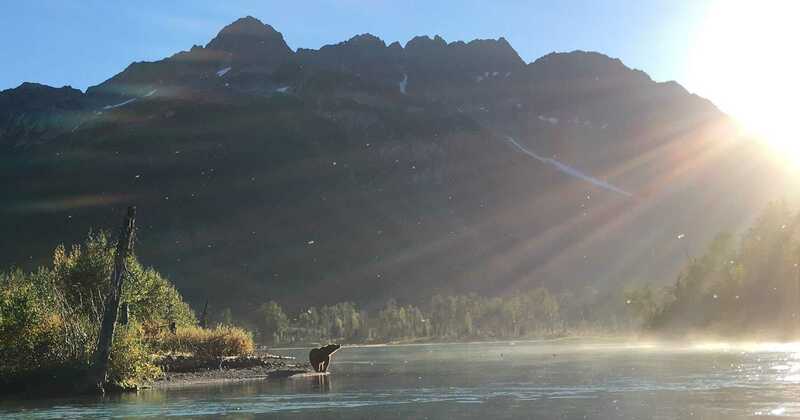 The Kenai is home to some of the best fly-fishing in the world. The perfect location to catch a trophy Rainbow Trout after they’ve gorged on King Salmon eggs all summer! 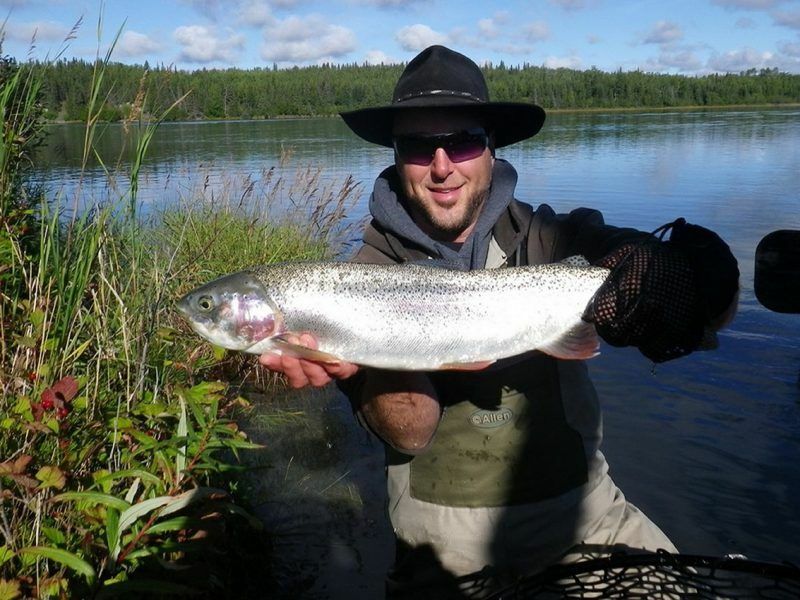 Looking to Catch a Beautiful Rainbow Trout? 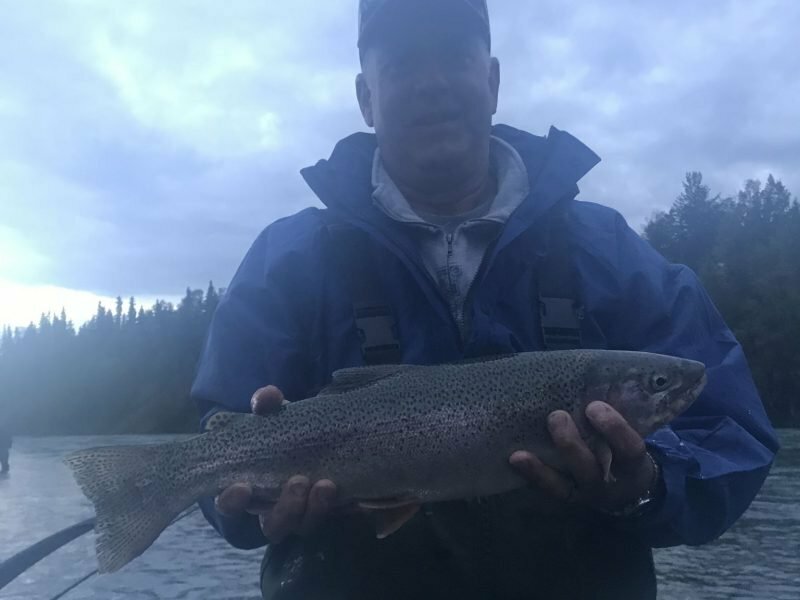 When you fish the Kenai River you’ll generally catch 12-28 inch Rainbows throughout the day, but the occasional 10-20 lbs. trophies at the end of your line are not uncommon. Linked closely to the Salmon runs, we’re catching these fish right on the bottom of the river, targeting gravel bars and spawning beds to rip these trout right out of the “All You Can Eat” salmon egg buffet line! These trophy Rainbow Trout gorge themselves, bulking up for the long winter ahead. And don’t forget the Dolly Varden. These fish are feasting in that buffet line as well, so you might even hook one of those beauties while targeting Rainbows. 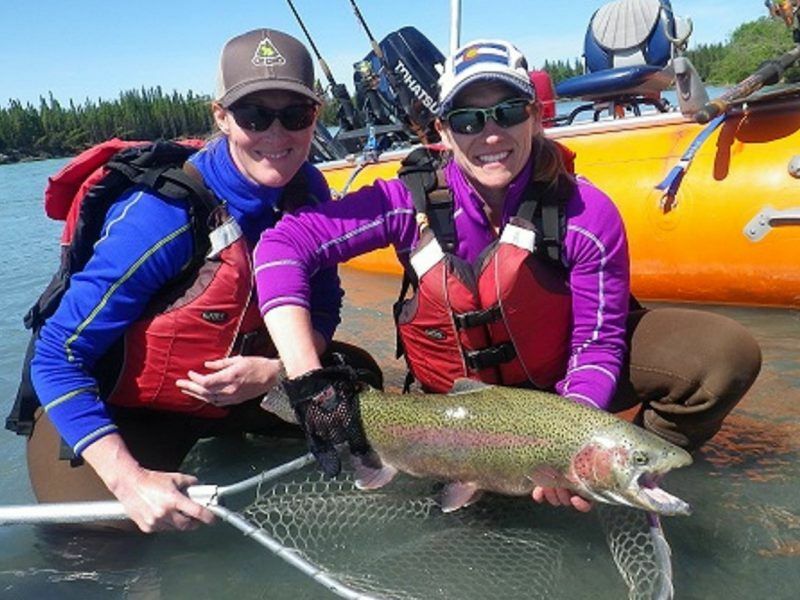 Once you’ve caught your Trophy Rainbow and you have plenty of photos, we’ll help you release this beauty back to the waters. 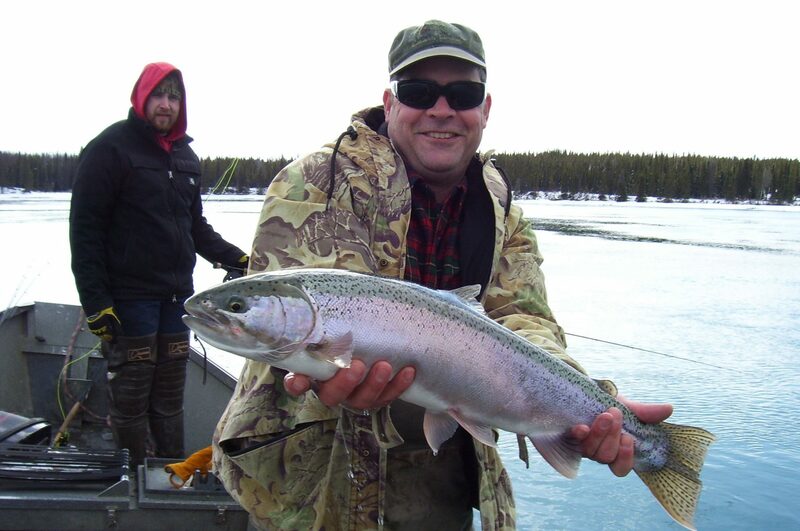 The Kenai River Rainbow fishery is catch and release only. That’s why there are so many big trophy fish in the river system. Those dreams were put back for the next guy to catch! August, September, October, and November is prime time for Rainbow fishing. Later in the year when the water drops, we will fish primarily out of our drift boats. For your best chance at catching a Rainbow you can use either flesh or an assorted egg pattern. The decision depends on the time of year, and our seasoned guides will be every step of the way to help with these important decisions. 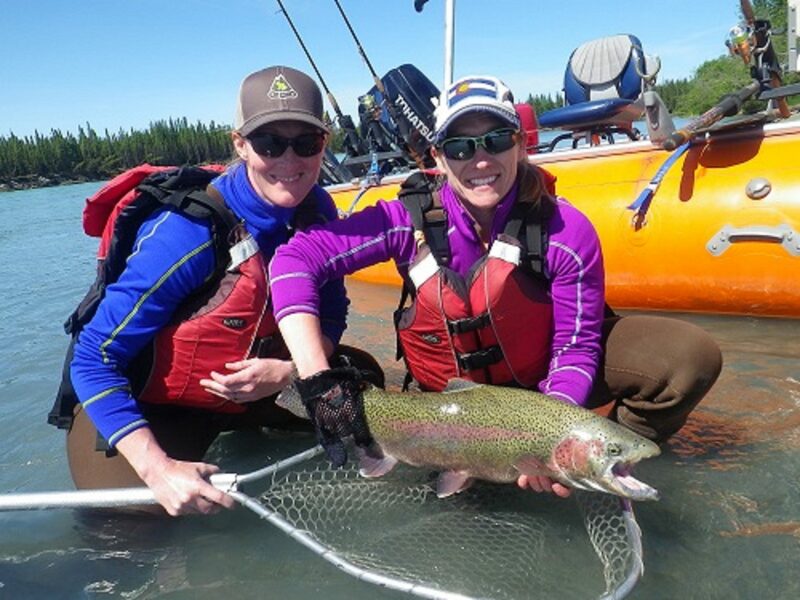 This fishery is great for everyone, from the experienced fly fisherman to the beginner. If you’re not a fly fisherman, that’s not a problem at all. We can use spinning gear, which is just as effective. Quality gear is included in the package, but if you prefer to bring your own, an 8-10 weight rod is ideal. 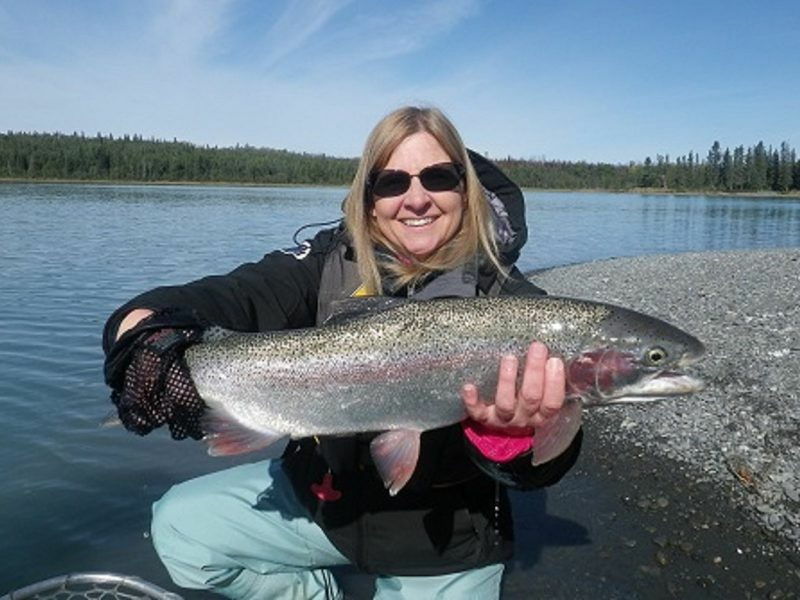 Plan Your Kenai River Fly-Fishing Trip Today!